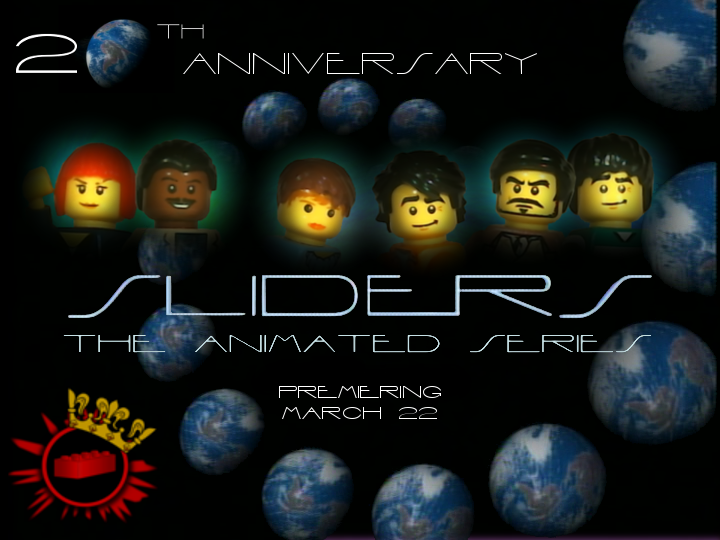 Forums - Bricks in Motion » Production » Sliders - An Interdimensional Sci-Fi series! Re: Sliders - An Interdimensional Sci-Fi series! This is a great idea, Dyland. I, myself, am a big fan of the show. I'm glad I found it on Netflix. I can't wait to see what you come up with. I have a suggestion for an episode! What if they slid into a world where everyone had superpowers; the world is full of superheroes... and supervillains! I, myself, am a big fan of the show. I'm glad I found it on Netflix. 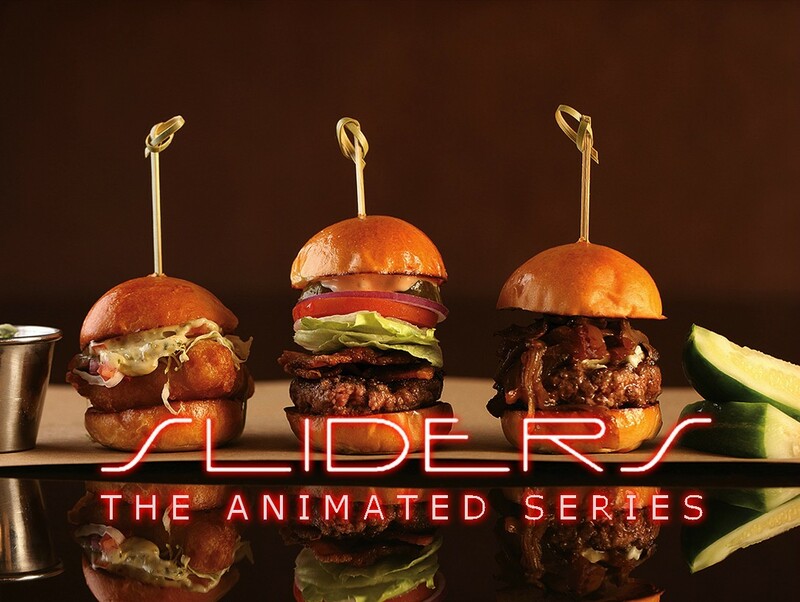 Yes, I do believe that the show (the original Sliders) is on Netflix. I have the Complete Series DVD collection, though, so I don't stream it anymore. That's a really good suggestion, Login! I do have one question, though. Do you mean a world where superheroes are real (i.e. Superman and Batman are really running around the streets) or, do you mean a world where there are all generic/original heroes (kind of like the Incredibles)? Either way, that's a really good idea. I'll be sure to write that one down in my episode ideas list. If I do that one, I'll be sure to credit you as co-writer as well. If anyone else has any suggestions for alternate worlds, please reply. It might even become an episode! That's like your 4th avatar this week Dyland. I keep doing a double take when I see your name. As for worlds i'd like to see superhumans in a medieval world. I was trying to go for a different avatar for every day leading up to Christmas, but, got lazy, and decided to just end it with my "placeholder" logo that I plan on using a variation of for the next few years. A medieval world is a great idea too. Perhaps humans didn't start evolving until much later, thus explaining how their course of history was so "offset" from our own. Remember, to make the show a bit more believable, I have to have some sort of explanation of how the earths are different. - On the real Sliders show, the writers stopped explaining after the 3rd season. That's when many fans cite as when the show started to falter in quality. Since my show will be set in an alternate dimension, I have the creative freedom to write the show more like the historical-drama/scientific fact based fiction that the first seasons were like, yet, can feature some of the great characters that weren't featured until the last two seasons. Sliders will be put on hold until THAC is over. I usually take pride in my brickfilms for contests more than other projects I've done in the past - and really want to focus my attention and effort on THAC this weekend. But, writing for Sliders will resume, and, sets will be built before the end of February! 10 minutes of animation in a week? That in itself is impressive! I've always wanted to attempt a 10 minute THAC film, and, though I think it would be nearly impossible, I will try to do this for THAC XII. Even if I fall short of this goal, a 5 minute brickfilm would still prove that I can bust out a 10 minute episode each week. It won't be easy However, I feel that this would be the best of both worlds - There's not too much time distance in between each episode, and, it'll keep my brickfilms-per-year rate higher - which, I think, is definitely needed. I've always wanted to attempt a 10 minute THAC film, and, though I think it would be nearly impossible, I will try to do this for THAC XI. Woah, man, that's a huge undertaking. Sure I'd love to see a 10 minute THAC film, but not if it sacrifices quality. Animating 10 minutes in a day (not counting writing the script, designing the sets, and editing) is a huge thing. But if you're up to it, I look forward to seeing it. I hope it will go well and good luck! Woah, man, that's a huge undertaking. Sure I'd love to see a 10 minute THAC film, but not if it sacrifices quality. No worries, rioforce. I always try to keep a high standard when it comes to storytelling, animating, and music. I usually consider my weakest point to be my pacing. I'm not terribly good at wrapping up a story, and, am horrible at doing anything under a minute. My BiM Celebrations entry was definitely a step in the right direction on story-wrapping and short subject matters. However, it was a very stressful experience, even if a pleasurable one. Most of the scripts I write are upwards of 7 pages, and thus, demand lengthier films. I guess I'm a bit of a "Stanley Kubrick" when it comes to filmmaking. I like lengthy films, slow pacing, and long shots. And above all, quality. Actually, last year, it was called THAC 11. As you may well know, I was not a fan of dropping the roman numerals. I assume Nathan is, however, as, now that he's helming the contest, it's gone back with THAC XII. Thanks for correcting my mistake, rioforce. I totally admire your wish for a brick pace while still maintaining quality! Keep it movin' along; I for one want more longer brickfilms! I get it! Pretty funny. I have yet to wrap filming on my THAC-started film. So far, I've got about 6+ minutes of footage filmed for "Redemption," which, is still an accomplishment for me! A 10 minute brickfilm every week is definitely possible. I really want to concentrate on finishing "Redemption," even though THAC is over. I think the story is good enough, I should spend the next week polishing it up. I want to make it the best film it can be. Then, my first and foremost brickfilm project will be Sliders. However, I've hit a really big road block that has limited my access to LEGO, and, will certainly delay any filming I do for the next week or so. At this current rate, the first few episodes should air at the end of February or the beginning of March... Perhaps I'll do a special "Ides of March" episode, early on. Slidecage, a blog about the original show 'Sliders,' retweeted my announcement for the animated series, and the theme song! This extra traffic to my series could make it some of my most viewed brickfilms! ... So no pressure. Though I'm still allocating time to work on my postponed THAC XII based brickfilm, I will start writing more Sliders scripts tonight, and should, hopefully, have a few episodes written out by the end of the week. I'm having to "slide" my attention from this show to my Johnny Thunder project. Though there are several reasons for this, a lot of external factors are playing into this decision... However, I still do not consider Sliders - The Animated Series to be on hiatus, nor will all of my attention go into this Johnny Thunder project. It's just that, since an Adventurers' film has been in Development ---- since late 2010, I feel that finishing it would not only get some things off of my back, but, would also be a bit of a greater accomplishment. However, throughout the scripting of that film, I will continue working on Sliders - purchasing bricks for MOC's, and scripting out the rest of the first "season." This, surprisingly, actually doesn't delay me much, and, actually, may do just the opposite - allowing me to get both projects finished quicker through double tasking! Rest assured, though, I will not sacrifice quality over quantity. An update will be coming soon, detailing all of the projects I'm working on, and their individual priorities... Stay tuned! EDIT: I've decided to delay the update video until next month. In the meantime, here's some Sliders updates below! Now with a solid release date (the 20th Anniversary of the premier of the original show), I plan on filming the next season over the next few weeks. Each season should be around 20 episodes. I'm just starting to script most of them, however, when they are complete, I will create a casting discussion in the Audio thread for minor and reoccurring characters. I will continue to update the progress of the show from now until the premier. Then, I'll try to keep most production info a secret, to give the later episodes more surprise upon release. BTW, If you have any ideas for worlds that the Sliders could go to, don't hesitate to PM me here on BiM. If I like your idea, I'll credit you as co-writer for that episode; Your ideas could make it into the show! You're going to be busy, but make many happy along the way. I'll be looking forward to the casting calls. This series looks interesting, I hope you can pull it off! BTW, what ever happened to your THAC film? Thanks. It will be a bit of a stretch, but, then again, even though I really want to be able to film the whole first season in block sessions, I only really need to complete the first episode before the deadline. That gives me a little over a month for just one 10 minute episode - in the worst case scenario. And that's easily manageable. Yeah. I'm pretty slow when it comes to writing scripts as it is, and, now, I'm trying to reboot a series while still keeping links to the original so it could also be seen as a quasi-continuation; all while trying to make it easy enough to understand for the newer viewers!!! If nothing else, though, it's been fun writing like this. A nice little challenge for myself. For instance, there was this Taxi driver who, in one "world" ripped people off, in another he was a resistance fighter for an underground democratic movement in a communist-ruled world, and in yet another, he worked with the mafia. The only thing that stayed the same was his occupation, and his sense of humor. I think this sort of a concept is great, as it can give a certain similarity between episodes (showing that it is all set in one location) but, can give some twists and turns depending on what wacky sort of scenario each world has. - This Taxi Driver will, for certain, be one of the characters up for casting. Long story short, I'm planning on moving before the summer, but, in the meantime, and back home, with access to my entire LEGO collection to boot. So, I'm going to be filming like crazy in my free-time over the next few weeks. In that time, I'd like to get some CinematiCritics episodes completed (another show I'm starting), as well as work on Sliders, and perhaps even contribute to my THAC film (which is now looking to be upwards of 15 minutes...), a Johnny Thunder film, and perhaps some extras. - All of that on top of finishing up some voice acting and brickfilm scoring some films I'm a bit late on. But, at least I've got my Beatles collection to listen to during all of that.